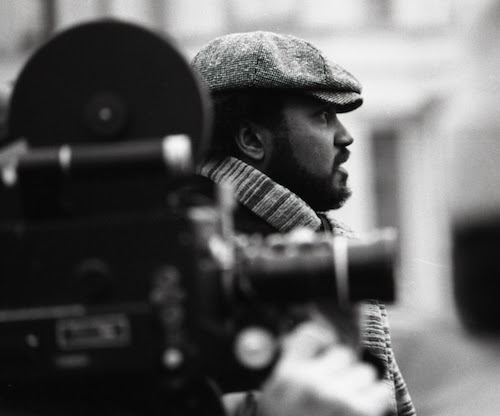 St. Clair Bourne, Harlem-born and Brooklyn-bred, was a towering figure in the documentary film world: a filmmaker, writer, activist, teacher and organizer. Bourne passed away in 2007, yet his body of work, an essential chronicle of African-American life, and influence is enough for many lifetimes. In honor of his 75th birthday, Metrograph pays tribute to Bourne’s legacy beginning February 16, from his early days as a producer, director and cameraman for the pioneering series Black Journal (including colleagues Lou Potter, William Greaves, Kent Garrett and Madeline Anderson), to the founding of the journal Chamba Notes, the Black Documentary Collective (BDC) and BADWest (Black Association of Documentary Filmmakers West). Screenings include selections from a career dedicated to portraying what was ignored by mainstream media representation, along with work from a number of the many filmmakers Bourne mentored, films on which he assisted, and many other projects that came to fruition due to Bourne’s engagement, ingenuity and passion. With very special thanks to Judith Bourne, Rafee Kamaal, and Sabrina S. Gordon, Black Documentary Collective. One of Bourne’s greatest films, The Black and the Green documents a meeting of the minds in Northern Ireland, as activists discuss parallels and differences between the Black American and Irish liberation struggles. Bourne said the film “ends up seeming pro-Irish Republican Army in the same sense that a film about Selma in the ‘60s might have ended up seeming pro-black, but then I’m a filmmaker from the ‘60s. I try to be humanistically political.” Screening with Something to Build On; simultaneously a documentary and an instructional film, Bourne here creates a unique hybrid that presents new, community-based alternatives to traditional higher education, as well as ideas for students on post-high school options. This video portrait, filmed in the days leading up to Amiri Baraka’s appeal of his 90- day sentence for resisting arrest following an argument in his car outside the 8th Street Playhouse movie theater, documents Baraka at his radio show, at home with his wife and children, and performing at readings. It is a delicate vision of a revolutionary who has grown quieter—though never at rest, and as sage as ever. Described by Bourne as “a narrative performance documentary,” this category-defiant film on the life of poet and writer Langston Hughes and the times in which he lived and worked moves from America to Senegal to Paris, from the 1920s Harlem Renaissance to the Black Pride awakening of the 1960s. 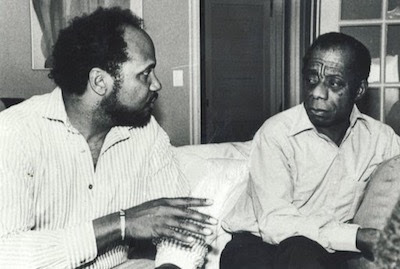 Scriptwriter Leslie Lee adapts her then-new biography of Hughes, while the film offers the additional the insights of luminaries including Amiri Baraka, Gwendolyn Brooks, and James Baldwin. Another of Bourne’s undisputed classics, made at the precocious age of 30, is revealing, dramatic and poignant, both the story of a young minister finding himself and his place in religious life, and the significance of the church in African-American life during a time of new consciousness. Edited by Bourne’s former Black Journal colleague, filmmaker Madeline Anderson. More than a behind-the-scenes portrait of the making of a film classic, Bourne brings to life the tremendous scope and ambition of Lee’s triumph (made when he was barely in his thirties) as he works with actors and oversees an entire city block of activity for weeks of shooting. A masterpiece of a portrait of the artist at work. 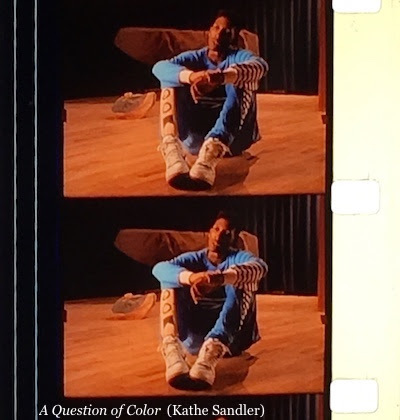 Screening with Stan Lathan’s Statues Hardly Ever Smile, in which children observe and discuss the art in the Brooklyn Museum, answering Marker and Resnais’ Statues Also Die in their own voice. Bourne was a DP on this small, perfect film, with an all-star production team: in addition to being directed by Lathan, Kent Garrett produced and Kathleen Collins edited. Two music films showing the ease with which Bourne could move from subject to subject, made with a grace and interest which other filmmakers would reserve for a particular area of expertise, that are simultaneously works of historical value, catching great musicians on camera to be appreciated for years to come. Screening with Mary Lou Williams: The Lady Who Swings the Band, the story of the unsung jazz genius: a pianist, composer and arranger. “Saint raised money to do a film about Mary Lou Williams in the ‘70s, but it never came to fruition. I kept this memory in mind as I pushed through to complete my documentary. I stand on his shoulders, like so many of us.”—Carol Bash. With this film, screened at Sundance and narrated and co-produced by Wesley Snipes, Bourne demonstrates the extent of his ability to coordinate talent and resources towards the goal of a film that educates the uninitiated and places Clarke front and center, speaking in his own voice, as a teacher, scholar and Pan-Africanist, with a long interview that weaves throughout the film. A perfect meeting of subject and filmmaker, Bourne’s epic is one of his greatest achievements. A biography that instantly became the definitive work on Robeson, and a master class in the synthesis of archival research and modern documentary filmmaking. A rightful classic of the form. From a family of twenty-four on Chicago’s South Side, these are the real life brothers of the Hypnotic Brass Ensemble, brought up on a strict diet of jazz, funk and Black consciousness, raising brass horns as they play around the world. St. Clair Bourne started on the project before introducing director Atlas to Sam Pollard, who produced the lm, and served as a mentor yet again on the project of a young filmmaker making his first documentary. Clearly highlighting the unequal treatment that individuals often receive based on the color of their skin, Emery’s film is a direct hit on racism in the health care system, what to do about it, and the responsibilities of individuals and institutions to overcome the racial and ethnic inequities in comprehensive health care reform. St. Claire Bourne was a friend and mentor to filmmaker Crystal Emery, and the production supervisor on this film. Produced by St. Clair Bourne, and directed by theater legend King, this is the story of one night in the life of a boy spent on the street, encountering the denizens of mid-1970s Harlem, while commenting on Vietnam, marital discord, substance abuse, paternal relationships, schooling, and unemployment—in short, the life of an American family. Promised Land follows two black communities in South Africa as they struggle to reclaim their land from white owners and create just solutions, amidst rising tensions and wavering government policies. Filmmaker Yoruba Richen cites St. Claire Bourne as a mentor, who organized a Los Angeles work-in-progress screening that provided the film visibility and momentum.